One Leaf sources premium materials from all over the world including natural gemstones, 100% sterling silver as well as eco friendly and fair trade supplies. All products are then handcrafted in Australia. 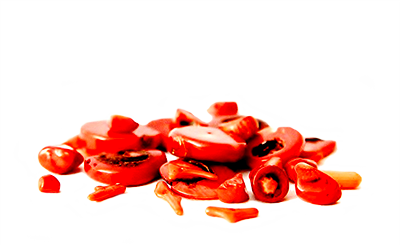 100% Hand made from 100% natural Acai Seeds – The main centre of the Acai Berry, found across South America, primarily North Brazil. 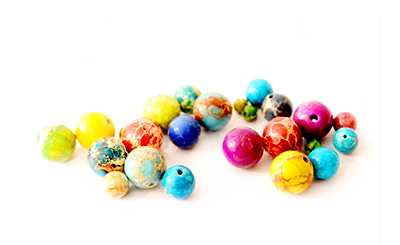 Each bead is drilled by hand, dyed and dried. 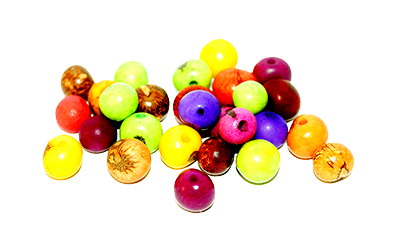 Many jobs are created for Amazon families by harvesting and producing these beads, enabling a strong foundation for many generations to prosper from. 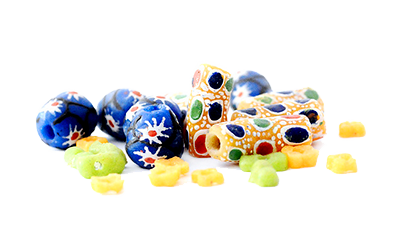 The African glass beads are all hand made from recycled glass and carefully hand painted. The Adangme people of Krobo may be the most famous and skilled bead makers in Africa, in part because beads play such an important part in their society – in rituals of birth, coming of age, marriage and death. 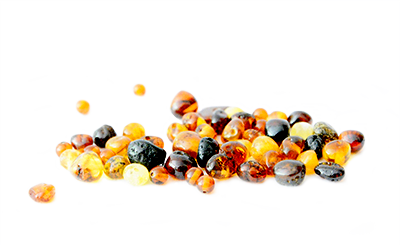 Formed from fossilised tree resin, amber is appreciated for its natural beautiful and reputation of cleansing the environment around it by drawing out negativity and relieving physical pain. 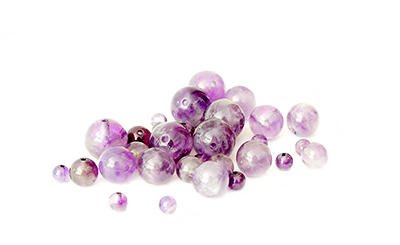 This violet variety of quartz ranges from a light pinkish violet to a deep purple. The name originated in Ancient Greece and the stone is believed to protect its owner from drunkness. 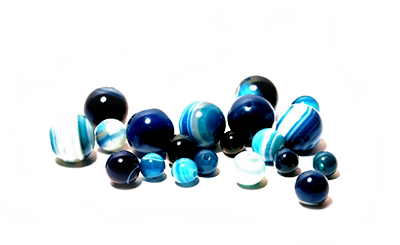 Part of the Quartz family, this gemstone is banded in layers of vibrant blue, striped with brighter blues, whites and even browns. This is a supportive stone, that of encouragement and circulating calm flowing energy that is uplifting. This gemstone forms in the oxidation zones of copper ore bodies and comes in an array of beautifuly blended greens, blues, coppers and greens. 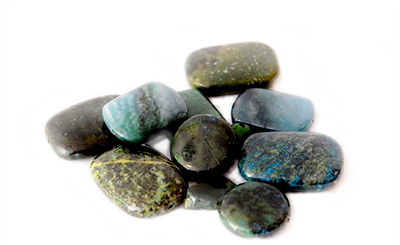 Known as a stone for harmony, Chrysocolla is said to help ease fear, anxiety, guilt and instill hope. Also known as ‘Precious Coral’ and found in a range of warm reddish to pale pink colours, this historical material dates back to ancient Egyptian and Victorian times. Once believed to be endowed with mysterious sacred properties that kept children from harm, coral still holds this ‘keeper of harm’ status today. 7,000 years ago jade was popular for its toughness and durability in weapons. 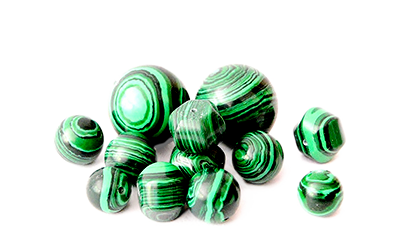 Today jade is known as the stone of heart because it balances and harmonises the heart chakra. 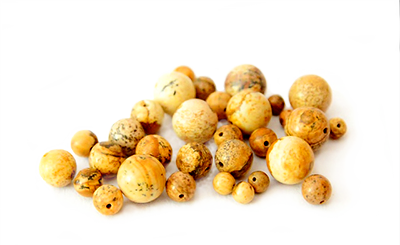 Meaning “spotted or speckled stone” jasper is usually red, green, yellow or brown. Jasper is known metaphysically as the stone of gentleness and relaxation sometimes refered to as the “nurturing stone”. This precious stone is formed in the deep troughs of the ocean. Sediment from land transfers to the deeps and is compressed by the pressure of the oceans. Found in an unlimited variety of colours and patterns this wonderful stone is known for helping find inner peace and clarity. 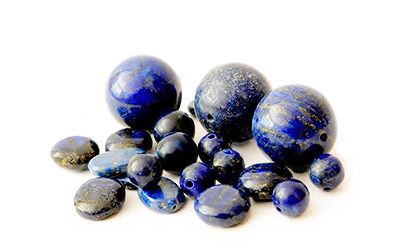 A deep blue semi-precious stone prized for its gleaming intense colour. This material is the stone of communication and can bring truthfulness, openness, and mental clarity to its owner. Formed in the monoclinic crystal systems, this opaque, green banded mineral got its name from the Greek word meaning “mallow-green stone”. Known as the stone of transformation for providing positive transformations on a spiritual and emotional level. 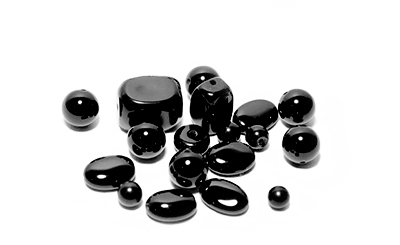 A variety of Agate, Black Onyx can help release negative energy and promote emotional well-being. 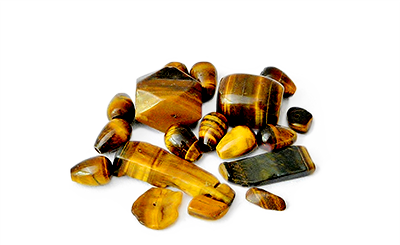 A golden to red-brown colour with a silky smooth luster shine, Tiger’s Eye is a stone of protection. Enhancing self-confidence, willpower and integrity this tone will bring its owner good luck. 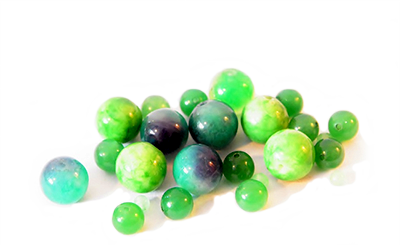 This gemstone is an opaque, blue-green colour that can change colour due to light or chemical reactions. 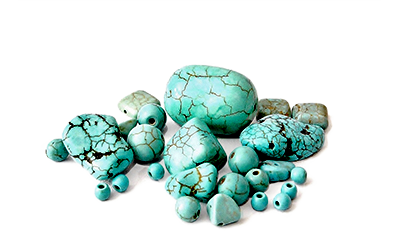 For thousands of years turquoise was esteemed as a holy stone thought to relieve stress and bring abundance to its owner.